So, I had promised that I would journal the evolution of my garden. 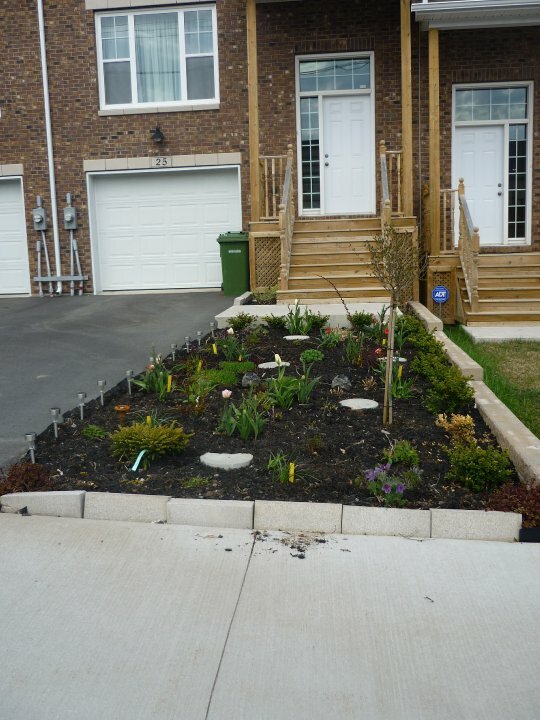 So here is the front as of May 25, 2012. Cushion Spurge, Pasqueflower, Boxwood and a creeping something??? Big difference 2 months can make! And some work, but less than you would think!! !